Providigm’s Embracing Quality Awards Program recently awarded our team with its Advanced Accreditation honor and the Embracing Quality Award for a Deficiency Free-Survey. The industry award recognizes skilled nursing centers across the United States and Canada for achieving outstanding quality outcomes. 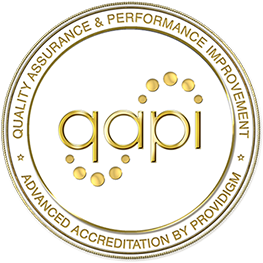 Providigm’s Quality Assurance Performance Improvement program awards accreditation to top performing nursing homes and centers for a commitment to quality and excellence. We are excited to receive the 2017 Advanced Accreditation honor and the Embracing Quality Award for a Deficiency Free-Survey. Our team is committed to providing quality health care with compassion and excellence. It is our vision at Signature HealthCARE to revolutionize the healthcare industry.